If you’re a burger lover who doesn’t mind slumming it with the fast-food giants, this is going to be a great month for your pocketbook. McDonald’s (NYSE:MCD) and now Wendy’s (NASDAQ:WEN) are offering big markdowns on signature sandwiches through the end of September. McDonald’s has made its mobile app a treasure trove of discounts, nudging diners to mobile ordering lately to score exclusive deals. One of the digital deals being offered in most markets is for any sandwich — excluding its Signature Crafted Recipe creations and the Double Quarter Pounder with Cheese — for a buck. App users can score the $1 burger without any additional purchase, once a week, through the end of the month. Wendy’s is firing back this week. Wendy’s dropped a freebie bombshell over the weekend, letting folks know that anyone downloading the chain’s app can score a free Dave’s Single with any purchase. Even buying a promotion-priced small Frosty for $0.50 can trigger the signature burger at no additional cost. In typical Wendy’s fashion, it took to social media to promote the move with its signature sass. Wendy’s has never been afraid to open fire on the competition. Even the formal press release explaining the month-long app promotion takes a shot at Mickey D’s. “And unlike most offers, this one will refresh daily,” reads the press release, taking a swing at McDonald’s in-app deals like the $1 sandwich promotion that resets weekly. There’s a method to the madness behind the app-tethered deals. McDonald’s, Wendy’s, and several other currently less ambitious burger chains are trying to drum up app downloads. The logic here is that by forcing deal seekers into familiarity with the inner workings of an app, they will become regular users of the platform once the markdowns end. The aggressive promos aren’t all that different than credit cards or bank accounts offering huge sign-up bonuses to secure your business, or cable companies offering great deals for just the first few months of service. Resourceful consumers are naturally the big winners, here. 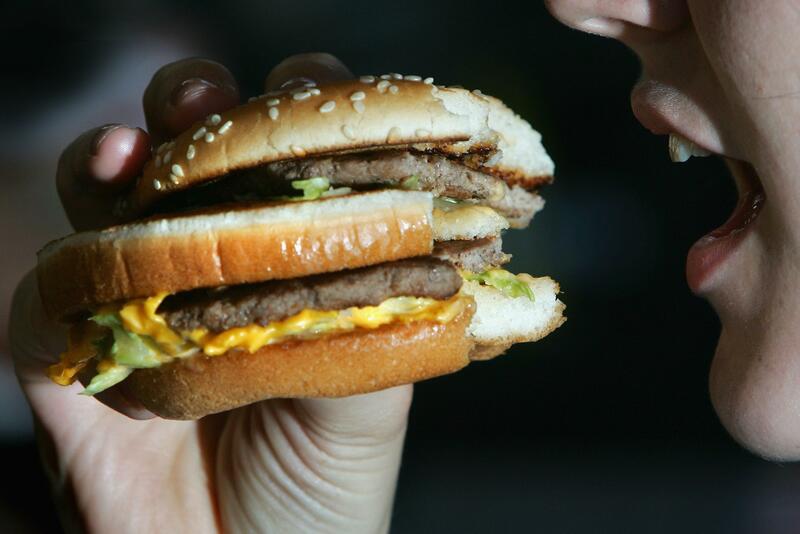 Meals can be had at McDonald’s or Wendy’s for a buck or less this month with minimal effort. Participating burger chains may also see themselves as winners — hoping that consumers tack on fries, drinks, and other treats to their orders, or lean on the app for future orders — but only time will tell on that front. Shareholders might also come out ahead. Most of the McDonald’s and Wendy’s locations are franchisee-owned, and that translates into juicy royalty checks being cut to the publicly traded concept parents, with individual owners taking the margin pressures that come with discounting. However, it’s also been widely established that mobile and online orders tend to be larger than drive-up or walk-in orders. It’s a lot easier to load up when a mobile app is guiding you through the process. McDonald’s might win. Wendy’s might win. Franchisees might win. Consumers are the only ones who definitely will win — healthy lifestyle choices notwithstanding.